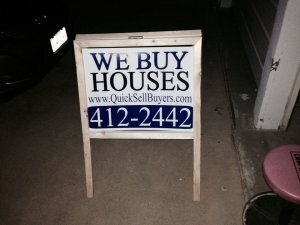 Sell your houses in El Paso, Texas - Quicksell Investors, LLC. So many reasons why you want to sell your home, you may be moving, facing a divorce or avoiding foreclosure. Any of these reasons will want you to sell your house quickly in El Paso, Texas. There is a solution to that. You can check on the internet for “sell houses El Paso Texas” and you will see us. We are the Quick Sell Buyers and we will buy your house fast and easy! We help owners who may have all the reasons to sell their house. Your house may be inhabitable or not, no need to worry because we buy houses in any condition. We have vast experience in buying houses which makes us an expert in dealing with our clients. We have been buying houses in El Paso, Texas and in surrounding areas for almost 13 years and we know what we are doing. We are known to be fast, that is why we are the Quick Sell Buyers! We can have the transaction settled within 7 days and pay in cash because we do not rely on traditional bank financing. We give the best customer service to our clients. We empathize with you because we know what you are dealing with. We had transacted with so many sellers before who only had good feedbacks for us. We prided on being called as fast, ethical and the real deal by our previous client. We mediated with a couple who were to get a divorce and had the transaction closed without giving them a hard time. To us, the sellers are important. We are also known to be trustworthy, proof of which are our numerous clients with whom we had helped before. Mr. Edward Beck himself attends to your concern personally which makes you in good hands. You can sleep soundly at night because you can trust that you are dealing with the best in this trade. We work hard on keeping this trust because our clients are valuable to us. You do not have to worry about costs. With Quick Sell Buyers, there are no scams, gimmicks, fees or any obligations. You do not need to sign any contract that binds you for a certain period nor attend to so much paperwork. We will give you a fair all-cash offer on your house within 24 hours. The best part is that we can close the transaction whenever you choose to close. It is entirely up to you! At Quick Sell Buyers, we work differently. Our goal is to assist in making the lives of our clients easier and help them out from the stress of selling their property with fast service and fair and honest price. No need to wait anymore! Find us when you search online for “sell houses El Paso Texas.” You can also directly visit our web site at www.quicksellbuyers.com or give us a call at 915-206-5369 because our friendly customer service providers will be happy to take your calls. Just start by giving us the information about your property so we can start the transaction immediately.